DVD Recorders: Record your favorite shows automatically! 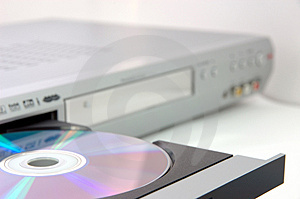 DVD recorders allow you to timeshift television viewing by recording programs to a hard drive and or a DVD burner. Most machines use an analog recording source to record from. Some versions also integrate a video tape recorder (VCR) and hard drive into the same unit. Many of the manufacturers of DVD recorders, no longer make new models and they are becomming obsolite. There are other competing technologies that are making these machines quite dated, such as the Boxee, satellite TV and internet TV options. This is an entry level recorder that includes a ATSC TV tuner which facilitates terrestrial reception. This unit is also an entry level machine and requires a TV service like cable or satellite TV to get content. With this recorder, a built in hard drive is used to record programs and satellite or a cable service is needed as a program source. Record over the air content using the built in ATSC tuner. Use a DVD-/R-RW disc to record your favorite show! Enjoy your favorite mp3 music on this recorder. Automatically convert over the air HD signals to standard definition (SD) when programs are recorded. This recorder includes a 160 gigabyte hard drive to store your favorite programs. Use DVD-R or DVD+R discs to record programs to this great recorder. Output a high quality picture using the HDMI out connector to your HD TV. If you are thinking of getting one of these machines, I would save your money. When you get satellite or cable television, you can also get a DVR that does much of what these machines do, or use internet TV to view all of your favorite programs. If you finished reading about "DVD Recorders", find out if "Internet TV" is better.